Call us toll-free at 1-800-374-4424 to book a consultation with Joseph Paris. 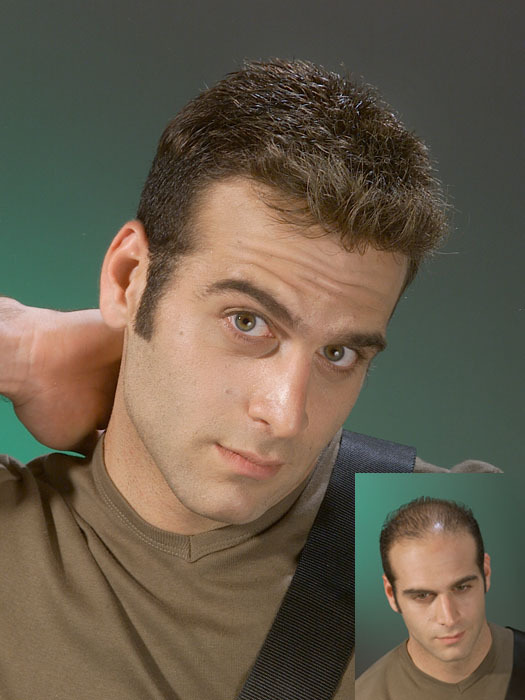 They say a picture is worth a thousand words, and we've found that to be the case with our custom hair replacement systems. 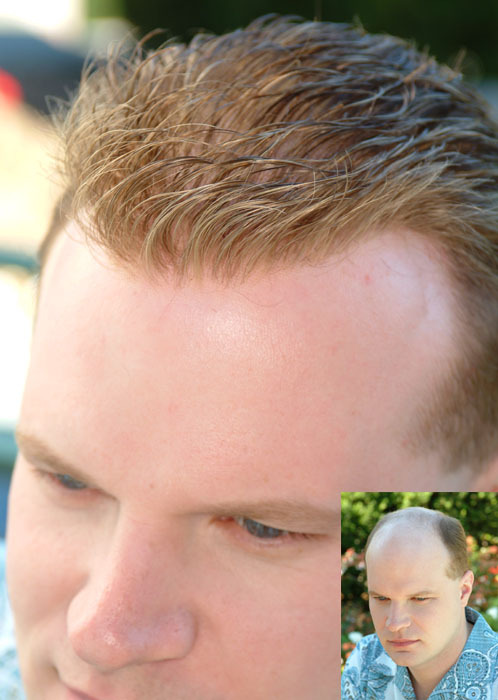 We truly believe the quality of our product speaks for itself, which is why we're confident in calling our product The Utlimate In Hair Replacement. The photos shown in this photo gallery are of real people wearing custom hair systems designed especially for them by Joseph Paris Naturally. Many sites claim that all hairpiece companies order their systems from the same oversease factories, and while that may be true for most companies, it's not true at Joseph Paris Naturally. That's why you'll never see our client photos on any other website. If you do, then you can be sure you're being scammed. 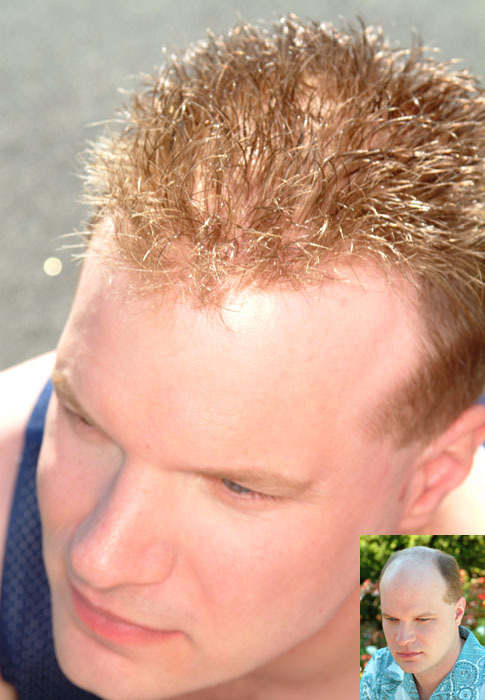 Because the hair replacement systems you see here were custom made for each individual client. 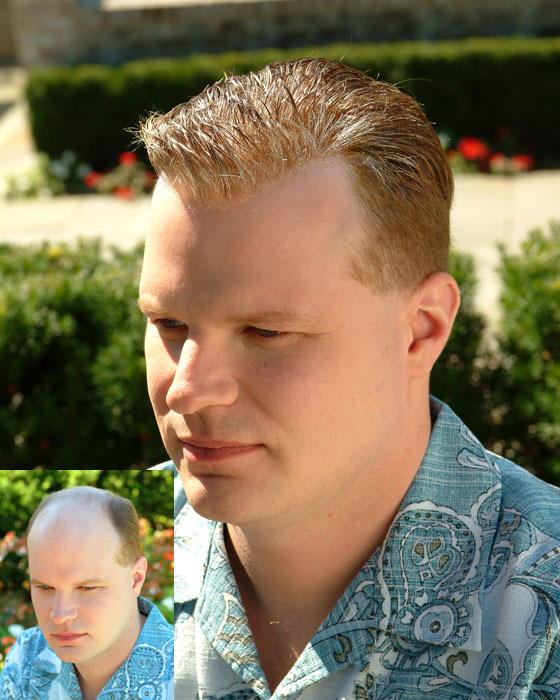 It's simply the most natural-looking and undetectable form of hair replacement available, bar none. Fortunately, you don't have to take our word for it. When you're finished checking out the photos on this page, consider booking a free consultation with Joseph Paris at our New York City salon. There's no sales pitch in your consultation with Joseph Paris. It's a chance for you to see the quality of his designs with your own eyes and to get all of your questions answered so that you can make the decision that's right for you. 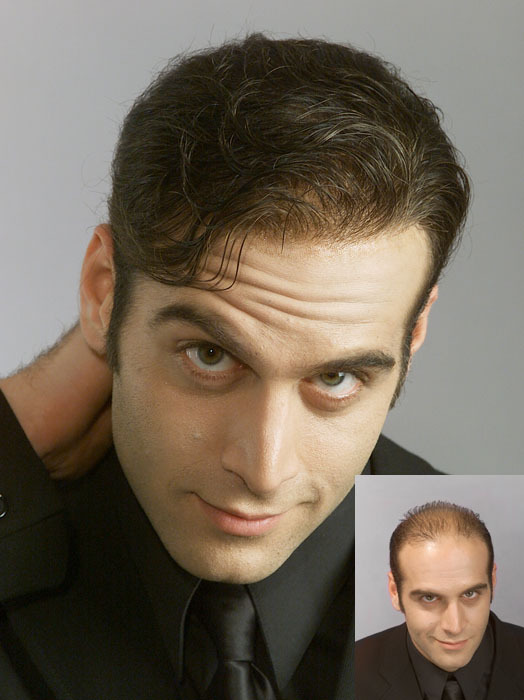 Joseph Paris will show you what you would look like wearing one of his custom designs and talk with you about all of your options in hair replacement. If you decide you're ready to become a client, he can start the design process right away. If you're not, at least you'll always know you have a friend in the business if you ever decide the time is right.